If you have a flair in English, there is a high probability that you have this question in mind as to what courses you can pursue if you are good at English? One way is to opt for the Humanities stream in their 10+2 and go for an English degree in their undergraduation. With so many courses available for English lovers, career options in this language programme, too, has grown over the years. English being one of the three most widely spoken languages in the world, your calibre in this language can make a difference in the career you choose. And if you do it right, i.e., if you choose the right course and put in all your efforts, you can definitely go places. In this article, we have listed the courses you can pursue if you are good at English along with their career prospects. The stream you take up in your Higher Secondary after clearing CBSE 10th, ICSE 10th, or any other state Board is not really relevant when it comes to building a career based on your command over the English language. Taking up Humanities is the most probable thing for students who are good at English. However, opting for Science and Commerce, if you are interested in subjects associated with these streams, will help you expand your horizon. Once you are done with your Higher Secondary from Boards such as ISC 12th, CBSE 12th other state Boards with Humanities, Science or Commerce, you can go for the various courses in English or related to it. There are several courses offered by various institutes that will help you build your career and require English – be it English communication or writing skills. These courses will not only refine your knack of the English language; it will also enhance your analytical and research skills. Courses you can pursue if you are good at English – What to study? 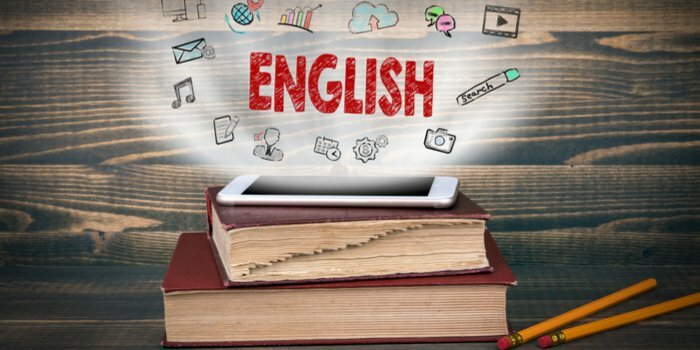 A degree in English literature will let you explore the various ways in which authors through ages have used the English language to their benefit and voiced their opinions and thoughts to the world. It will sharpen your critical thinking abilities, allow you to view everything from multiple perspectives and help you develop your skills in research. To pursue Bachelor of Art (B.A.) in English literature, you have to apply for colleges that offer the same. Your admission might depend on your marks in 10+2 or on some entrance examination conducted by the institute you opt for. There are numerous institutes offering undergraduate Journalism and Mass Communication courses after 10+2. A degree in Journalism will get you acquainted with the print and electronic media. Print media includes newspapers, magazines, journals, newspapers etc., while electronic media consists of TV, Radio and the Internet among others. A career in Journalism requires one to be fluent in English including English Communication. So if you are good at English and are interested in what Mass Communication does, i.e., getting across news, information and ideas to the world, this is the right course for you. A Public Relations (PR) professional is required to interact with various clients and the profile requires one to possess good communication as well as convincing skills. Students pursuing a course in Public Relations, who are good at English and have good communication skills have a higher chance of performing up to the mark and excelling in this profession. This programme acquaints you with the fundamentals of teaching English as a language. ELT helps you develop critical and analytical thinking and acquaints them with how human language works. It also familiarises students with the process of learning and acquiring a language. It is a course which includes practicals and teaches one to plan out on how to teach a language. Career prospects include teaching English as a second or first language, media, publishing, research and so on. A course in Creative Writing will help you enhance their skills in English and know the ground rules of creating a piece of writing. This will help you grow as a writer and get familiar with the various methods and styles of writing. A diploma or certificate in creative writing will help in a career as a content writer, copywriter or as an editor. It will also help you grow quickly as a freelancer or blogger that you may aspire to become. It happens so that in the present times, social media is one of the very effective tools of marketing and business. There are companies that hire content writers for social media marketing and this degree might help you grab one of them with ease. If you are bilingual, or in that case, a multilingual- and if you are good at English, you might be interested in translation studies as well. This will guide you through the theories and application of translation and will help you translate a localised text to English and produce it in front of a larger population. If you think that you would like to translate your regional texts and share your regional literary culture with the world, this course is the one you should choose. A Social Worker has to deal with various people including lawyers, government associates and so on. It also requires them to research and produce in-depth reports on the same, which has to be done in English. As such, English becomes a necessary requisite for ones pursuing a career as a social worker. Students who have a passion for serving the society and are good in English can go for this career option as well. Film studies deals with the theoretical, historical as well as approaches to films and is sometimes studied as a part of media studies and is often compared to television studies. This field explores the narratives and cultural/ artistic/ economic/ political dimensions of movies. If you are good at English and have a sense of critical approach to things, you might prove helpful for the critical approach that Film Studies assumes towards the context, production, and creation of the cinema. After this course, you will be able to work as an Editorial Assistant, Screenwriter, Film Critic or write for academic journals that publish analysis on various aspects of film and video production.